Looks like someone skipped science class.... 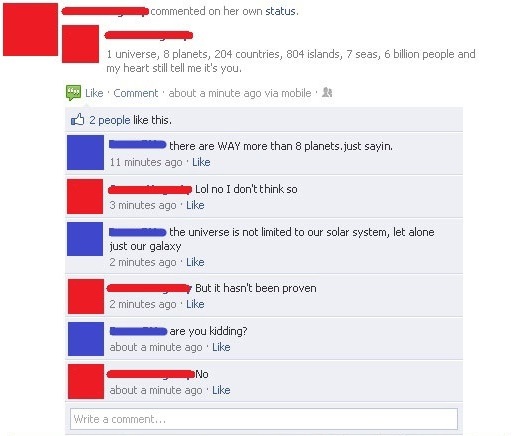 I mean seriously, has this person ever just looked up into the sky on a clear night? : /. Wallpaper and background images in the fanpop FAIL! club tagged: fail pathetic stupid facebook idiotic astronomy.